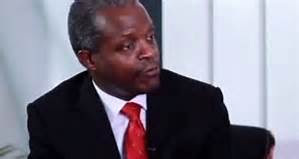 The Federal Government will create no fewer than one million direct jobs in 2016, the Vice President, Yemi Osinbajo, has said. A statement by Laolu Akande, his Senior Special Assistant (SSA) on Media and Publicity, quoted Mr. Osinbajo as saying that another one million poor Nigerians would benefit from the first phase of the Conditional Cash Transfer Scheme. The statement, released to newsmen on Thursday in Abuja, said the VP made the remark during an interactive session with a cross section of Nigerian Community in Burkina Faso. Osinbajo was in Burkina Faso to represent President Muhammadu Buhari at the inauguration of the newly elected president of that country Roch Marc Christian Kabore. He said President Muhammadu Buhari had announced job opportunities for 500,000 graduate youths, to be engaged as teachers. He added that an estimated 500,000 non-graduate unemployed people would be trained as artisans. The Vice President explained that the Conditional Cash transfer Scheme was intended to utilise the thrift system to grant loans to market women to enable them improve their businesses and earn decent living. He said the homegrown school feeding programme would not only provide adequate nutrition to school children, but would also boost agriculture, create jobs and wealth locally. Mr. Osinbajo assured the Nigerian community that the fight against corruption was a continuous one. He said the Buhari administration would not only prosecute those involved but also recover all the loot that had been traced.